The era of extortionate deposits and unexplained letting fees is coming to an end. 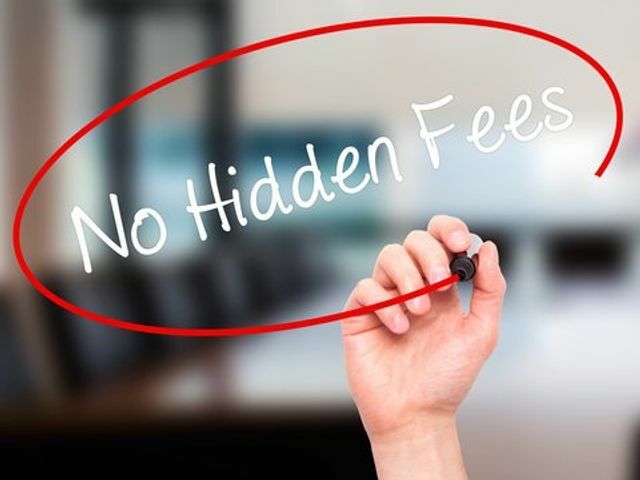 The Tenant Fees Act 2019 ("the Act") will provide renters with a fairer, more competitive and transparent market, when it comes into force (currently anticipated to be 1 June 2019). Letting fees and high deposits can represent a significant affordability issue for tenants. The Government hopes that the Act will address this problem, and ease the financial burden on tenants at the outset of their tenancy. The aim of the Act is that tenants will only pay a deposit and rent on a property. The Act states that Landlords cannot require a tenant to make any payment as a condition of their tenancy, unless it is permitted by the Act. A fee if the tenant requests a variation, or an assignment. The fee will be capped at £50. It can be higher if the Landlord shows they have reasonably incurred the costs. All other payments associated with a tenancy are prohibited e.g. tenant's fees. If there are any terms in a tenancy agreement which require a prohibited payment, that term is not binding on the tenant. However, the tenancy agreement still continues. The Act will apply to Assured Shorthold Tenancies ("AST") and licences to occupy. Prohibited payments will not apply to a tenancy entered into before the commencement date, or a periodic tenancy arising from statute or the expiry of a fixed term, for one year. However, from 1 June 2020, any provisions that require prohibited payments will be a breach of the Act. This essentially gives Landlords a period of one year to ensure that their existing agreements do not contain any prohibited payments. The provision that gives the Act real "teeth" is that Landlords will be unable to serve s.21 Housing Act 1988 notices to recover possession of let properties if they have not returned any prohibited payments. The Landlord will have to return the prohibited payment to the tenant with interest. If they do not comply, a tenant can make an application to the First Tier Tribunal with the assistance of the Local Authority for an order for the Landlord to return the payment. Enforcement of the Act lies with Local Authorities. They will be able to fine a Landlord up to £5,000 if they are found to be in breach. A fine of up to £30,000 can be imposed by the Local Authority if a Landlord has already been found guilty of a separate offence and fined. The Act also amends the Housing and Planning Act 2016. This means that an offence under the Act is a banning order offence. Landlords should review their relevant tenancy agreements, to identify and return any prohibited payments. Existing agreements have a one year grace period to ensure no such payments exist. Landlords will want to avoid having prohibited payments, so that they are not fined or banned from letting property. Most importantly, landlords will want to be able to serve s.21 notices so that they can recover possession of their property at the end of an agreement. These steps are not a great surprise. The Government has long stated its intention to address the failures in the market which have led to high letting fees and deposits. The Government's Impact Assessment estimates that the banning of fees and capping of deposits will save tenants in the region of £240 million in the first year. It is also hoped that this will have benefits for Landlords, who will not be as exposed to rental arrears given the added transparency the Act will bring to the market. The Act could lead to Landlords increasing rents, as they seek to recover the deficit. However, an increase in rents is preferable to upfront fees, as it would be more transparent and affordable for tenants. The Act does seem to be a step in the right direction for regulating the private rented sector and developing a fairer, more affordable rental market. Time will tell whether it has the desired effect. The Government has long stated its intention to address the failures in the market which have led to high letting fees and deposits.